Today as we stop to take time with our families and reflect upon the many blessings we each have. We want to you the 24/7 MOMS how grateful to God we are for allowing us the opportunity to be part of your mom journey each day. Thank you for joining us here at 24/7 MOMS and blessing us as our mom friends. 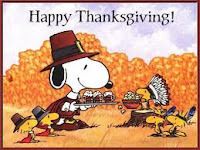 The 24/7 MOMS team wishes every mom and Family a Happy Thanksgiving. Join us today as we count our many blessings and reflect on all that we have to be Thankful for this year. Even in the middle of all your meal preparations and clean up remember to slow down and make every moment count as a mom today by telling each of your children individually why you are Thankful for them. I love watching my kids smiles and eyes light up when we do this. Thanksgiving Day being Thankful activities click here. Simple ready to Play Thanksgiving activity click here.